Oral cancer can appear as an ulcer or growth in mouth that does not heal or resolve on its own. It includes cancer of the lips, tongue, cheeks, floor of the mouth, hard and soft palate, sinuses, and pharynx (throat). 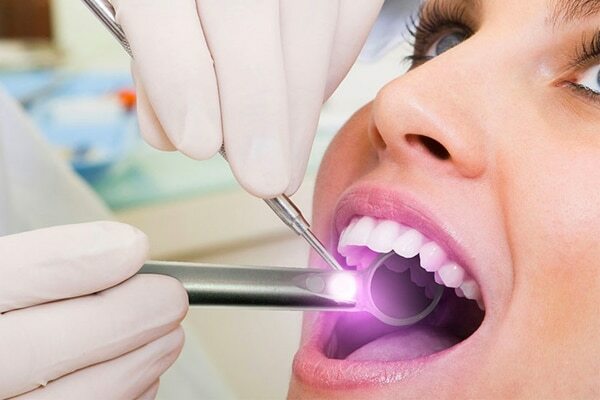 Oral cancer is the sixth most common cancer worldwide, affecting a large number of population in India. Despite advances in medical world, a large number of people succumb to this owing to late diagnosis & treatment offered. What are the signs/symptoms of oral cancer ? Anorexia, fatigue, weight loss, constant fever may be the first sign of malignacy. You also need to look at chronic painless ulcer, lump, pain, bleeding, numbness, Referred pain, facial asymmetry, skin lesions, facial paralysis, difficulty in swallowing, bleeding from nose, mouth. Who needs to get cancer check-up done ? Any patient with the above mentioned symptom is a candidate for oral cancer check-up. Further risk factors include, patients with habit of smoking, chewing paan masala, supari, tobacco, alcohol consumption, poor nutritional status and exposure to human papilloma virus. Thorough oral check-up by your oral physician. Use of superficial stains and dyes to detect cancer at suspicious areas. Fine needle aspiration cytology (study of tumor cells). An oral biopsy (taking a section of the mass and studying under microscope) for suspicious lesions. Radiology: CT scan, MRI, Ultrasonography, Color Doppler. The principal objective of treatment is to cure the patient of cancer. The choice of treatment depends on the site and size of lesion, the presence of local bone involvement, the ability to achieve adequate surgical margins and the presence or absence of metastases (spread of tumor). Chemotherapy and targeted therapy are used together with the principal therapeutic modalities of radiation and surgery and is now considered the benchmark for management of advanced disease.